Being a leader in this industry, we are devoted towards providing a premium quality array of Delta PLC DVP-PM. With the aid of our vast manufacturing unit, we are engaged in offering a wide range of Programmable Logic Controller. All our products are manufactured and developed following the international quality norms and standard at our vendor-base. To meet the varied requirements of our customers, we also offer our range is various specifications. By keeping track with the modern trends, we are bringing forward a wide series of PLC Controller to our valued patrons. 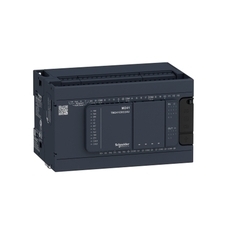 Used for automation of different electromechanical processes like machinery control on amusement rides, factory assembly lines, or light fixtures, our Programmable Logic Controllers are highly demanded by the clients. 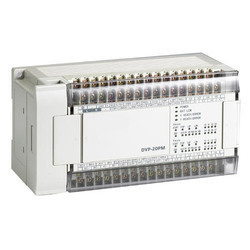 The company is the prominent Programmable Logic Controllers Manufacturer and Supplier in India. Ladder Automation Solutions Pvt. Ltd.
MELSEC-Q Series: its powerful presence guides the Q Series to the top, where no PLC has ever been before. With its nano-order speed basic command processes, the next generation MELSEC-Q Series dramatically improves system and machine performance. We provide a wide range of Fuji AC Drives, PLC'S which offered to customers at market competitive rates.